Blog Emerging Adolescence: Developmental Phase or Societal Confusion? As a nation, we are very confused as to when one actually becomes an adult. Is it at age 18 when you can vote for the president, be sentenced to death, join the armed forces? Perhaps it is age 19 when in New York State you can buy tobacco, or for that matter 21 when you can buy alcohol. What does it say about a nation where you are old enough to go to war and die for your country but you are too young to sit down for a drink at the end of the day? In fact, it seems that today’s adolescent are experiencing stall in entering adulthood. Contemporary society sees the average woman marrying at age 26, while her counterpart from fifty years ago wore the ring at age 20. Furthermore, the percentage of American 30-year-olds who are married and living independently has dropped from 70% to 40% in the course of the last forty years . Perhaps this lack of matriculation into adulthood on the part of today’s youth is due to a lack of a clear rite of passage. While ceremonies such as Bar mitzvah and Bat mitzvah, Quinceañera, Sweet-Sixteen, still remain part of our practice as a nation, they do not truly mark the entrance into adulthood and do not signify any changes recognized by the government. The United States, a modern, discontinuous society, has veered away from a traditional society. In a traditional society, children follow the professions of their parents and slowly and continuously make the transition into adulthood as they learn and work beside their parents. 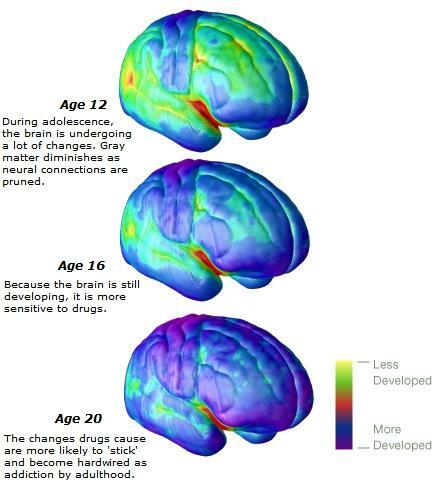 Emerging Adolescence, a term coined by Jeffrey Arnett, describes the developmental stage between adolescence and adulthood that is applied to the 18-25 age group. Traditionally this group would be perceived as adults but presently there is confusion as to where this age group fits into society. According to Arnett there are five key elements of emerging adulthood: identity exploration, instability, self focused, feeling in-between, possibilities . The first element, identity exploration, is about identifying morals and goals and ultimately becoming comfortable with the person you are. With regards to the second element, it is a time of constant movement, movement: moving out of the house and struggling to make a living. The third element, self focused, occurs in this age group as they are not married, do not have kids or other responsibilities that would detract being able to be self-focused. Feeling in-between, the fourth element, occurs as this age group does not know whether they are kids or adults. Finally, the 18-25 years age group faces many possibilities as these subjects are not yet committed to a career and recognizes the indeterminateness of the immediate future and how their choices can shape this future. Now this description seems very similar to the typical college experience. According to the United States census, over 25% teenagers attend college . Perhaps this increase in the number of students attending college is partly to blame for this extended adolescence. In college students must declare a major based on their interests and future career goals. In addition, many college students are financially unstable and dependent on their parents to foot the tuition bill exceeding tens of thousands of dollars. As far as “feeling in-between goes” over half of college students are underage when it comes to buying alcohol but at the same time are capable of voting. Finally, most college students are exploring possible career paths and not quite locked into future and therefore have their entire life ahead of them with innumerable paths to choose from. College provides a delay in students entering the work force and some time to form an identity. Perhaps it is true that an average college student is not an adult but perhaps that’s a good thing. Schelhas-Miller, Christine. “Social Transitions.” HD 1170: Emergin Adolescence. Cornell University. Warren Hall, Ithaca. 2 Feb. 2010. Class lecture. Steinberg, Laurence. Adolescence. 8 ed. New York City: McGraw-Hill Humanities/Social Sciences/Languages, 2007. Print.